Bolton Wanderers have confirmed there has been talk with Chelsea over a possible move for English international Gary Cahill. Cahill is out of contract at the end of the season and Wanderers must sell the player in the January transfer window or risk allowing the 26-year-old to leave for free in the summer. Chelsea manager Andre Villas-Boas indicated the Londoners were interested in Cahill earlier this week and Bolton confirmed on Friday that talks were now under way. "Regarding Gary Cahill, there has been dialogue between ourselves and Chelsea. 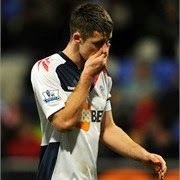 He is a top player and is fully focused on Bolton," a brief statement Bolton shared via Twitter. I've said from day one, Gary Cahill could play for anybody. I think he has those qualities. Bolton manager Owen Coyle also confirmed that another Premier League side were in the hunt for Cahill. Both Tottenham Hotspur and Arsenal have been linked with the player in the past. "There's nothing signed and sealed at the moment but it's fair to say there has been dialogue here and there," Coyle said. "I think it's fair to say there's interest in Gary and there will be and that doesn't surprise me. "I know that Andre [Villas-Boas] is an admirer of Gary because he's a terrific player so if there's business to be done it will be done in the right manner for the football club and for Gary. I've got to be upfront and tell you as I always do but that's the situation, and Gary knows as well that there are two huge games before January 1st before anything could happen. I've said from day one, Gary Cahill could play for anybody. I think he has those qualities."